Everyone has heard of the famous gold spade guinea but did you realise that third guineas existed. Probably not because they are unusual coins and not often available. 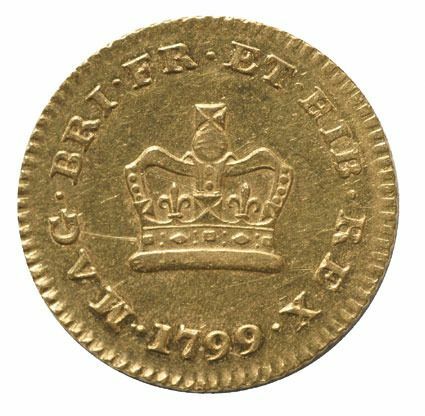 However, we are pleased to have located a few struck in the early 1800's. 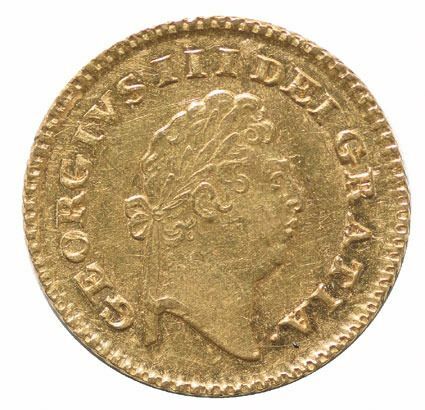 This scarce coin in very fine condition will be a nice acquisition for your gold collection.Image shows 1799 rare date Third Guinea prices range from £650- £950. The 1811 and 1813 are even rarer and will take considerable amount of time to fine and cost more. Please phone if specific date is required.